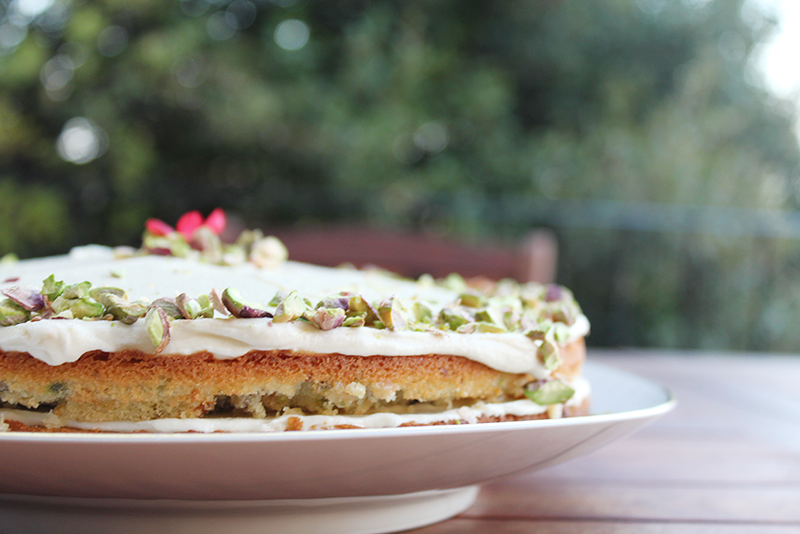 PISTACHIO & WHITE CHOCOLATE CAKE | RAWR BOWS. One of my favourite foods ever is pistachio. I love nuts in general, but pistachio has a special place in my heart. A while ago (as in, many weeks ago when I was still wearing shorts and going to the beach), my friend and I felt like baking. 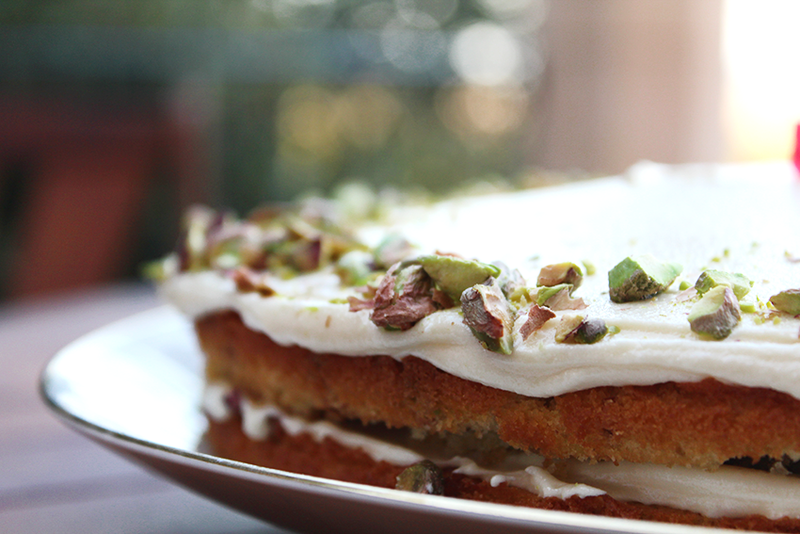 After browsing Pinterest, we decided to bake a Pistachio and White Chocolate cake. Yes, it tasted as good as it sounds. I’m not going to dwell on because I know all you want to do is read how to make this bit of heaven. So here it is! Start by preheating the oven to 200˚C and line two cake tine (of similar or preferably same size). Cream the butter and sugar together and add the eggs, making sure everything is well mixed. Add the flour, baking powder and milk and wick until it has a creamy texture. Add the pistachios and the white chocolate bits and mix. Then divide the mixture between the two tins and bake at 180˚C for half an hour. Once it’s done, leave it at room temperature to cool down. Cream the butter and icing sugar and then add the white chocolate (melted). Mix very well until it looks even and has a creamy texture. Once the cakes are cool, spread the icing on one cake and then place the second one on top. 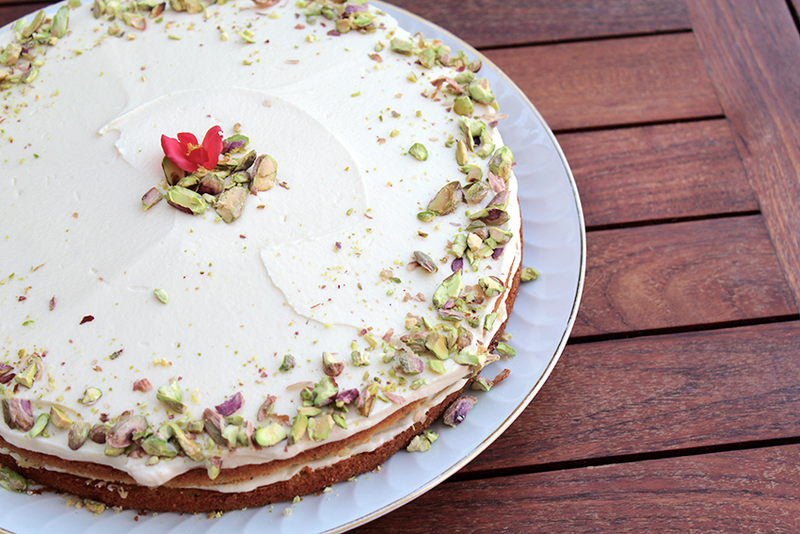 Spread what you have left of the icing on top and garnish with some pistachios.